AUTHENTIC REAL LOVE READINGS ON KEEN SINCE 2009!! Disclaimer: Emilie Moe does NOT consent to audio recordings of her without her permission. By calling for a phone reading with Emilie Moe you are agreeing to these terms. Because of common courtesy and by law in my state in which I resided you need to ask first. I am not here to give you false hope. Sadly not everyone who we invested our time and want will be the ones that we have a future with. Life has its twist, turns and lessons. Its my moto to deliver messages with nothing less but compassion and love be it exciting news for the future or unwanted news. We are all human and have sensitive emotions. Lying to someone makes things much harder and waste time. It's best to be truthful so a person can move on to open the door for better opportunities. Emilie Moe also known as Emmy to Many began reading tarot cards at a very early age. At 11 years old, she began cultivating what would become a higher calling to be a reader and help others. She began reading for her family and friends as a form of entertainment. However, she soon realized that she was a truly called to be on this path as a reader. Receiving clairaudient and clairsentient messages from the spiritual realm, her tarot card readings have taken a turn with growth and progress. After completing college and working for the mainstream, she decided to become a full-time reader in 2009. 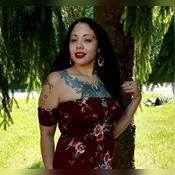 Since then, she has been one of the highly salut out readers on keen.com especially in Tarot Specializing in relationships and romance, her readings are accurate and honest. She is empathic and sincere in what she relays to her clients. Her readings are full of love and compassion as well as truth. 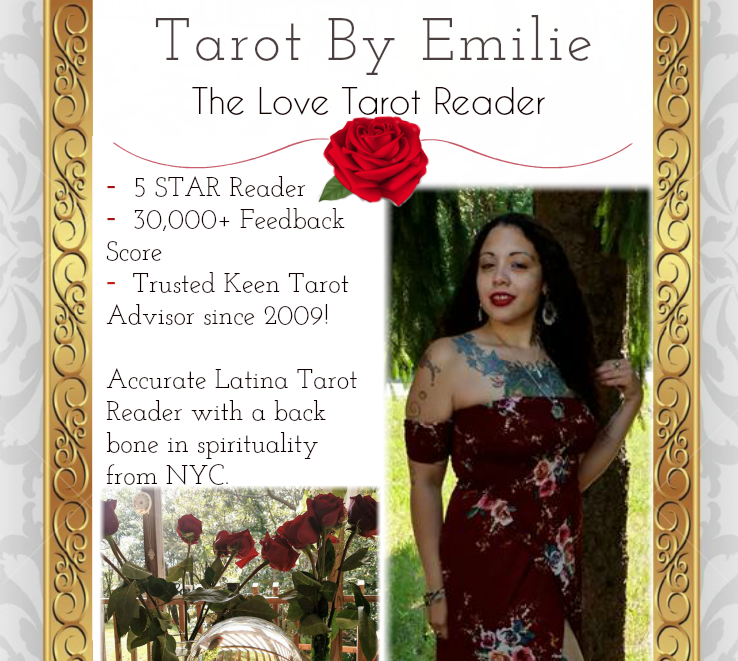 Believing that her craft goes beyond the scope of just reading, Emilie takes her tarot card reading to a very profound level of spirituality. Having a close connection to her spiritual guides and angels, her readings provide clarity and guidance for those seeking wise counsel through phone readings and now chat readings as well. Aside from reading tarot cards, she has also embraced Angel Oracle cards, dice readings, coffee cups, writes blogs, have done live events in NYC and worked in local shops. If you have any questions or are at a crossroad in your life, Emilie Moe can help you find the answers to make the best decisions for your life. Tarot By Emilie has been a user of Keen since 2009. Getting Life Questions advice from Tarot By Emilie through www.keen.com is safe, secure and confidential.